While revenue growth is being pegged in double-digit, profit growth is expected to be unimpressive. Prabhudas Lilladher: Estimates 13.3 per cent sales growth, 11.0 per cent EBIDTA growth and 2.2 per cent adjusted PAT decline in Q3FY19. Sales growth will be led by metals, oil and gas, consumers and banks. Aggregate margins expected to decline by 312 basis points. PAT growth excluding oil and gas amounts to 19.9 per cent. Reliance Securities: Expects healthy earnings growth in Q3FY19 largely driven by banking sector, which commands considerable weightage in the key indices. It expects the banking sector to see significant gain led by higher treasury income, other sectors i.e. consumer, building materials and capital goods are expected to witness healthy earnings traction. Further, despite likely unimpressive topline performance, the pharmaceuticals sector is expected to report optically higher earnings growth because of low year-on-year base. 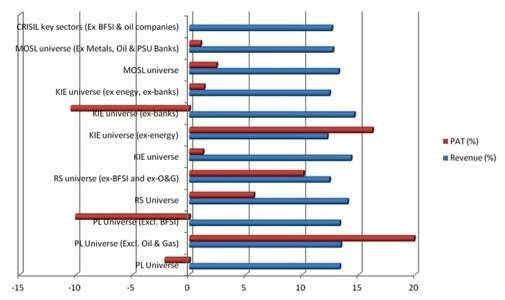 Muted performance is likely for the oil& gas sector owing to inventory losses, which will drag overall earnings growth. The earnings growth (ex-BFSI and ex-O&G) is pegged at 10 per cent YoY. Motilal Ostwal: Overall, expects the Q3FY19 earnings season to turn out to be an uneventful one with a few bright spots. Baton of earnings is shifting from global cyclicals to domestic cyclicals as commodity prices have corrected, while the operational trend in financials has improved. Apart from political uncertainty, deceleration of earnings momentum is one of the key risks for CY19. MOSL Universe revenue to grow 13 per cent YoY in the quarter (revenue grew 15 per cent YoY in the base quarter) - lower than 25 per cent growth in 2QFY19, largely owing to YoY commodity price correction in both oil & gas and metals. MOSL Universe EBITDA growth is estimated at 6 per cent YoY, with the operating margin ex-Financials and OMCs compressing by 60 bps YoY to 19.9 per cent. MOSL Universe PAT is likely to grow by a muted 2.4 per cent YoY (base quarter earnings grew by 17 per cent), largely driven by financials, especially corporate banks. Kotak Institutional Equities: Expect Q3FY19 net income of the KIE coverage universe to be flat y-o-y. It expect strong growth in the net income of banks (stronger loan growth and improvement in asset quality further aided by a weak base quarter), capital goods (driven by base orders, uptick in pace of execution and low base quarter) and consumer staples (accelerating underlying demand) sectors. 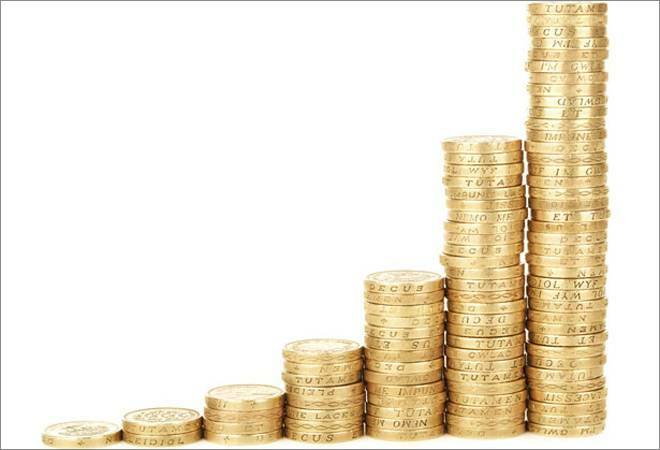 CRISIL: Estimates 12-13 per cent y-o-y revenue growth for corporates, excluding banking, financial services, insurance, and oil companies, in the third quarter of fiscal year 2019. Though this will be the fifth consecutive quarter of double-digit growth, the momentum is expected to be slower than the first half of the fiscal year, when the average growth was ~17 per cent on year. However, the growth in the third quarter comes on a high base, as the year-ago period had seen a sharp 13 per cent revenue rise. In the first half of last fiscal, the growth was nearly 7 per cent.